Where were you when the Shanghai Dragons won their first match? Were you lucky enough to be in the building, in the middle of that collective effervescence, thunder underfoot and surrounded by red? Wherever you were, I hope you felt it as much as we all felt it—not only the catharsis and relief and exhilaration, but also the unequivocal connection between a team and its fans and the fruits of that emotional investment. 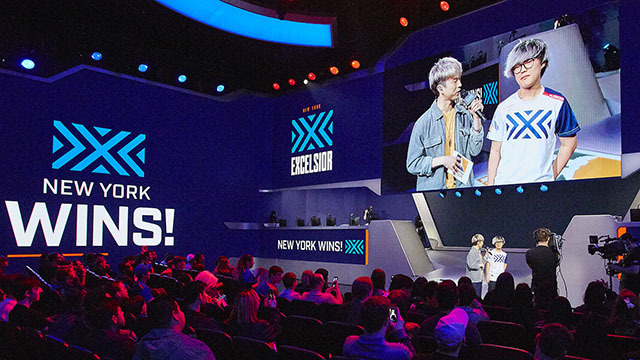 When the screens around Blizzard Arena lit up with the words “SHANGHAI WINS!” for the first time—in that moment, it wasn’t just the players who won. 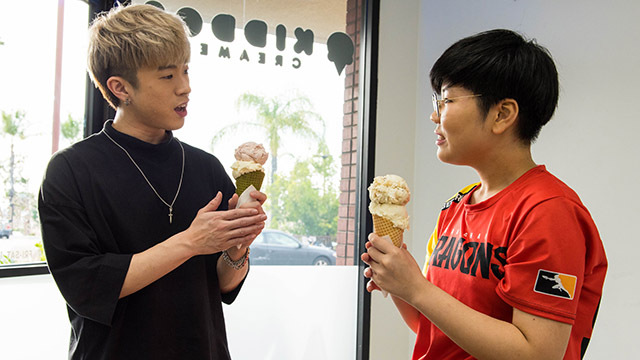 Where were you when Sang-Beom “Bumper” Park Earthshattered the San Francisco Shock’s dreams on King’s Row, leaving four players stunned on the ground as Hyun-Woo “Jjanu” Choi’s Self-Destruct exploded in their faces? That play sent a message, loud and clear—that the Vancouver Titans are the Overwatch League’s nightmare overlords. Think your team has the upper hand in a teamfight? They have six players ready to clutch it out at any time. Think your team has a map win locked down? Better hope they check all their corners, because Bumper is waiting in the shadows. These are just two things that I’ll remember from last week—that a lot of people might remember. There will be hundreds more. In a long season, there are countless little happenings that release a little bit of dopamine inside us, whether it’s an incredible play, an act of kindness or friendship, or the simple fulfillment of watching your team compete each week. Where were you when…? It doesn’t matter. You were with us; you experienced it. 1. The Dragons players who were onstage experienced their winning moment a lot differently than the crowd. For one, they couldn’t hear anything over their noise-canceling headphones. But they did sense the reaction. “The crowd was cheering so much we could feel the stage shaking,” said support Gyeong-Woo “Coma” Son. It’s true that these aren’t the Shanghai Dragons of 2018, and we shouldn’t treat them as such. It’s also true that joining a winless team—one draped in the hopes of so many fans for so long—comes with its own special weight. And after an 0-2 start to the season, maybe it’s impossible to ignore the memes, maybe the doubts start creeping in. 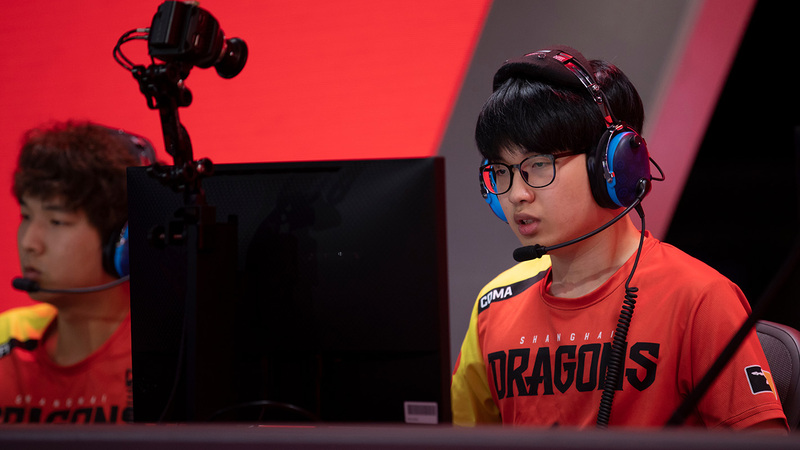 One thing that helped the Dragons get through tough times was the unwavering support from the fans, which comes in many forms: comments on Twitter and Weibo, well-wishers at the arena, gift drops organized by their fan Discord. For Coma, it was family. 2. Shanghai’s historic win was straightforward and hinged on Jin-Hyeok “Dding” Yang’s excellent Sombra play. Last week, Boston DPS Jeffrey “Blasé” Tsang told me that the Uprising were especially vulnerable to Sombra comps due to their reliance on 3-3 comps, and while Houston failed to take advantage of that weakness, the Dragons didn’t make the same mistake. 3. More on Sunday’s heavyweight bout between Vancouver and San Francisco, an early contender for match of the stage. The 3-1 scoreline doesn’t do justice to just how close it was. Support Grant “Moth” Espe and DPS Jay “Sinatraa” Won stood out to me the most; Moth’s Lúcio set a punishing tempo for San Francisco’s triple-triple, while Sinatraa’s hyper-aggressive Zarya playstyle caught Vancouver off-guard more than once. In the end, the difference between the two teams likely comes down to the tank play. 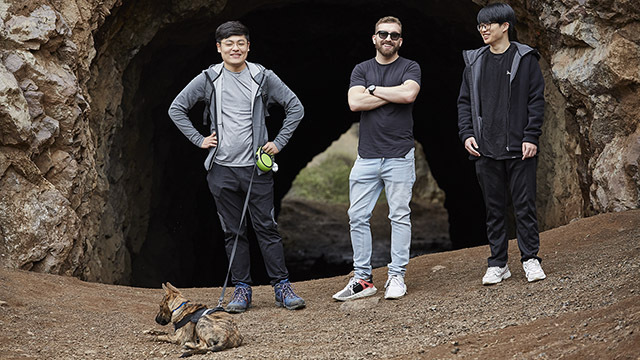 Bumper, Jjanu, and Min-Soo “Seominsoo” Seo form a monstrous tank line, and the rest of the team is 200% committed to keeping Bumper alive. His aggression and survivability can sometimes bait other teams into over-pursuing, so it’ll be interesting to see which teams are able to remain disciplined in the face of such an oppressive playstyle. “In this meta, if the main tank dies, it’s like two people have died.” Find out why, plus other insights about the current state of pro tank play. Guangzhou might be 1-2, but both of their losses were in tiebreakers, and they’re the only team in the league that can easily transition between triple-triple and their own patented style of running three hitscan heroes, usually Tracer, Sombra, and Widowmaker. “We’re testing more comps in the current meta because our players have really flexible hero pools, so I think we can be more experimental than other teams,” Rio said. 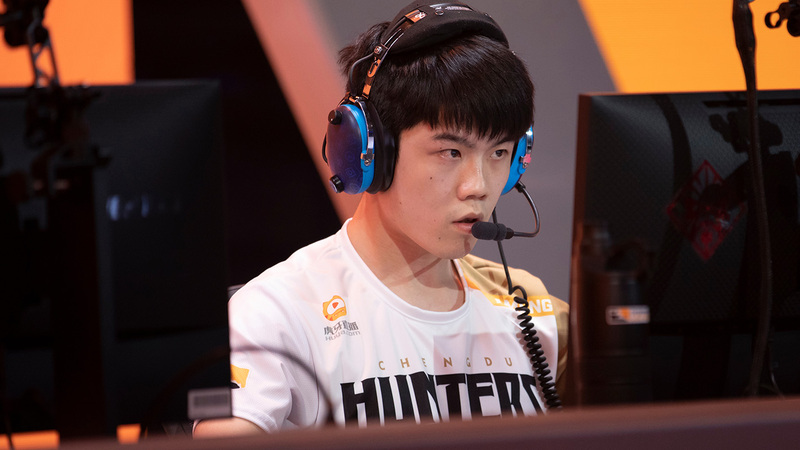 He credits the success of triple-hitscan to Hong-Jun “Hotba” Choi’s ability to swap between Tracer and D.Va, but some of the credit has to go to Rio himself, who looks equally comfortable on Reinhardt, Winston, and Wrecking Ball. CaptainPlanet sent me time-played splits for 20 main tanks across the league, and Rio has the broadest distribution across three of the four heroes so far (Orisa has been used extremely sparingly). Percentage generated from each player’s total playtime. Chengdu’s commitment to the hamster cannot be questioned. The results are threefold: for spectators, they’re highly entertaining to watch; for opposing teams, they’re unpredictable and thus hard to prepare against; for the players, they’re having fun. Playing around Wrecking Ball can be tricky, though, as it requires a lot of coordination, and on that front, Ameng tells me Chengdu still has room to improve. As Rio puts it, “It all depends on Ameng. If he’s good that match, they win; if he’s not good, then they lose.” But at the end of the day, that’s what makes Chengdu so fascinating. 6. Only five teams have a goose egg somewhere in their record: either no losses or no wins. Vancouver (3-0) and New York (4-0) look like the real deal after weathering some tough opponents last weekend. However, it’s hard to draw too many conclusions about the 2-0 Paris Eternal, who have a fairly backloaded Stage 1 schedule. Week 3 will tell us a lot about their true strength, as they face chaotic upstarts Atlanta and Vancouver. Beyond that, it’s San Francisco, Washington, and Philadelphia—it remains to be seen if any of these teams will get creative and try to counter Paris’ dominant triple-triple comps rather than mirror it. At the other end of the table, while there’s some mild shock that the Los Angeles Valiant are 0-3, it’s important to consider how brutal their Stage 1 schedule is. 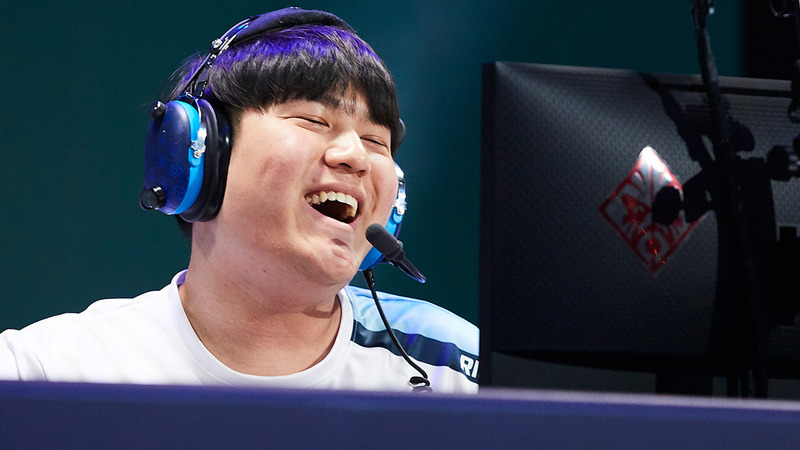 All three of their losses came down to just one map, and the good thing is that most of their shortcomings—like ult management—are fixable. Unfortunately, it doesn’t get easier from here on out. The Valiant face Vancouver and Guangzhou next week, then Philadelphia and Houston in Week 4, and with only 28 matches this season, down from 40, they can’t afford to dig a much larger hole. 7. That leaves 15 teams who have tasted both victory and defeat. Maybe you’ve seen one of those graphics that show the complicated web of wins and losses spun across the league through the first two weeks. 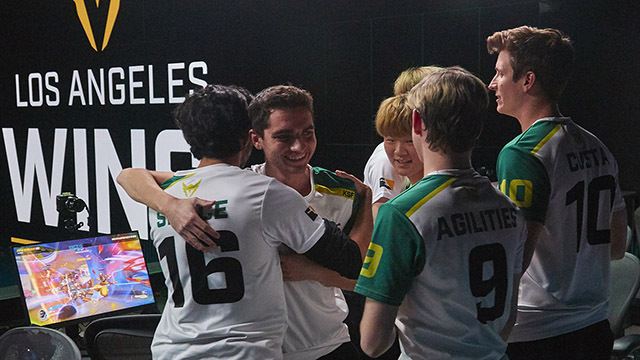 Anyone who’s been watching can appreciate just how unpredictable the matches have been—most of the league is riding the same rollercoaster, and it’s pretty great. 8. This early in the season, some teams and players might still be settling into form, needing time to get comfortable onstage after a long time away. You can see the nerves affecting some of the newcomers, certainly, even if they’re coming from a Contenders region with LAN matches. Even returning players need time to get re-acclimated, Danteh told me, and he thinks that’s part of why Houston has struggled with consistency out of the gates. 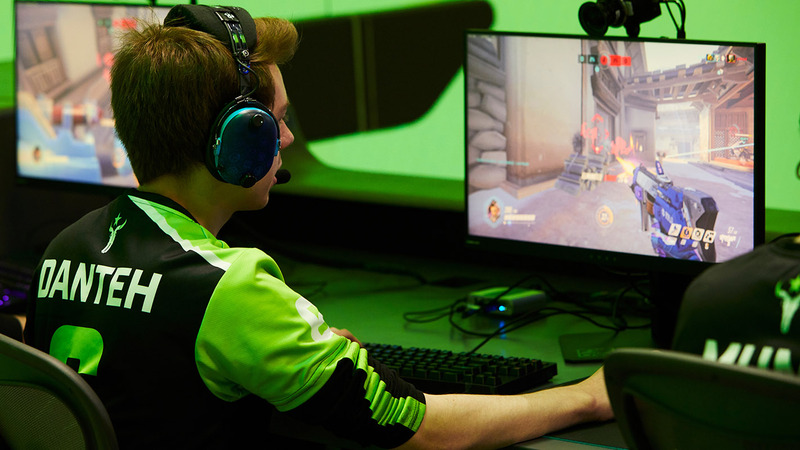 Danteh has been playing a lot of Zarya this season, a far cry from his hitscan role with San Francisco last year. Houston did make a significant lineup change in Week 2, bringing in Alexandre “Spree” Vanhomwegen at off-tank, as his ability to play Zarya does free up Danteh to play his signature Sombra to counter triple-triple. It was a strategy that worked in the Outlaws’ win over Hangzhou, but against New York the map pool wasn’t exactly favorable toward Sombra comps, resulting in a pretty one-sided loss. 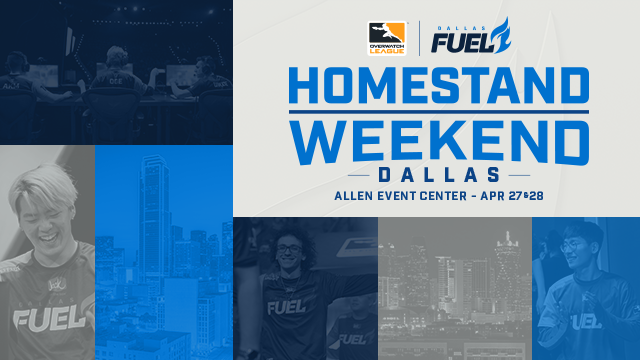 Houston only has one match per week for the remainder of Stage 1, though, which could allow them to develop more specific strategies against their remaining opponents (Florida, LA Valiant, and Atlanta). 9. Two other teams I’m still trying to figure out are London and Hangzhou. London won both of their matches in Week 2 after making the move to start Hee-Dong “Guard” Lee over Ji-Hyeok “Birdring” Kim, allowing Jun-Young “Profit” Park to take over Zarya duties. 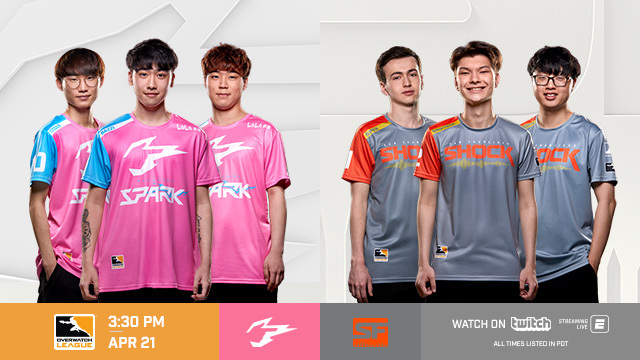 They still have a bad tendency for slow starts, though—the first half of the Washington match was extremely uninspiring, and Jae-Hui “Gesture” Hong still looks measurably more comfortable on Winston than on Reinhardt. As for Hangzhou, I’m not sure if teams have started to figure them out already, but their strategies looked a bit stale. Danteh told me the Outlaws were able to take advantage of the Spark’s passive style by constantly taking fights against them. Against London, a bevy of lineup substitutions from map to map didn’t seem to bring any significant changes. Both London and Hangzhou will have the same barometer in Week 3: the LA Gladiators. Should be illuminating for all three teams. The 2019 Overwatch League returns to the big stage on Thursday, February 28, at 4 p.m. PST, when the Washington Justice (0-2) take on the Philadelphia Fusion (2-2). Watch all 2019 season matches live and on demand on overwatchleague.com, the Overwatch League app, our Twitch channel, MLG.com, and the MLG app.